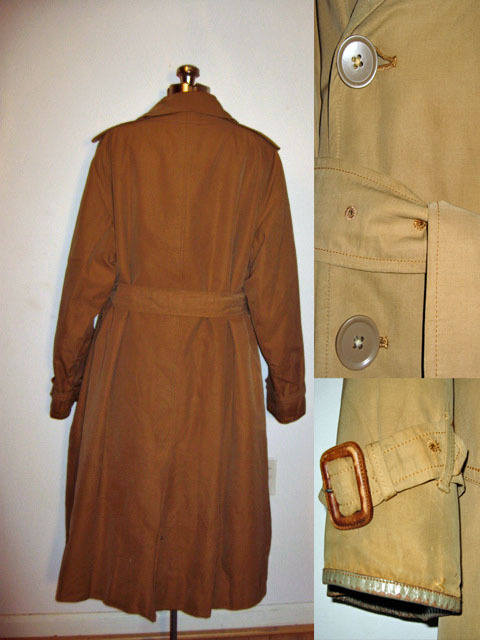 The VFG confirmed my dating of these Burberrys labels- this classic Men's trench coat is from the 1930s. Note the "B" within the shield and the early version of "Prorsum" within the banner. 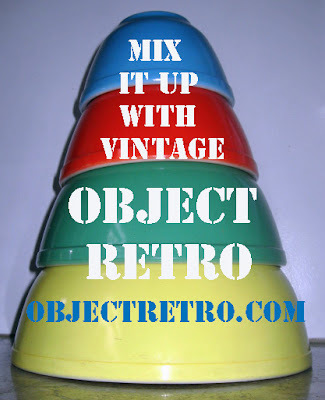 All vintage collectors do it. 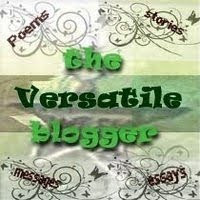 We imagine the past lives of our found garments. 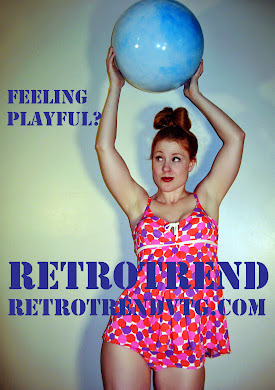 A cocktail dress with original tags? Might have been intended for that cancelled date with that guy she really liked. 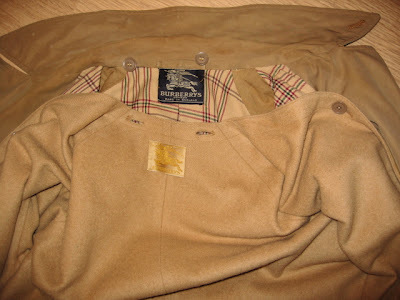 A Mid- Century button down shirt with pins, cardboard and other original packaging? Might have been an unliked gift from an out of town family member. 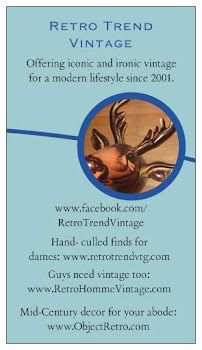 That classic leather satchel, with lots of wear and darkening? Clearly a favorite bag that saw daily use for many years. 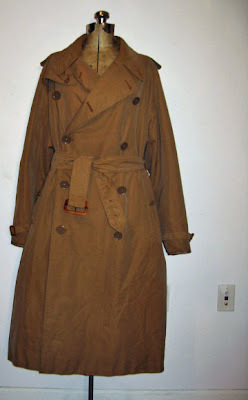 So when I found this rare and very early Burberrys trench coat- I was quite curious. Old enough to have seen wars and easily survived them. And in better shape than many other later issue ones I normally find- a sure sign of true and lasting quality. Double breasted, ten button front, front right shoulder flap, slash pockets at hips with button closures, original belt, wrist cinch belts and wool liner included. The only button missing? The one under the right shoulder flap- and here you can see the original thread- more like twine! 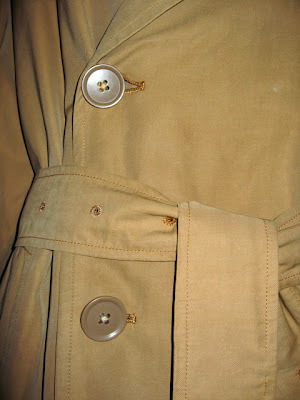 The lower button shown must have been moved down at some point and attached with normal thread. 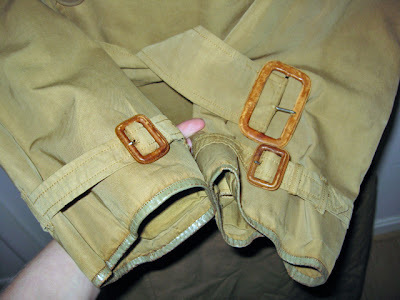 The leather covered adjustment buckles are STILL fully covered in leather. Some light rubbed wear only. What else is different? That's right! Pale greenish- leather sleeve end details. 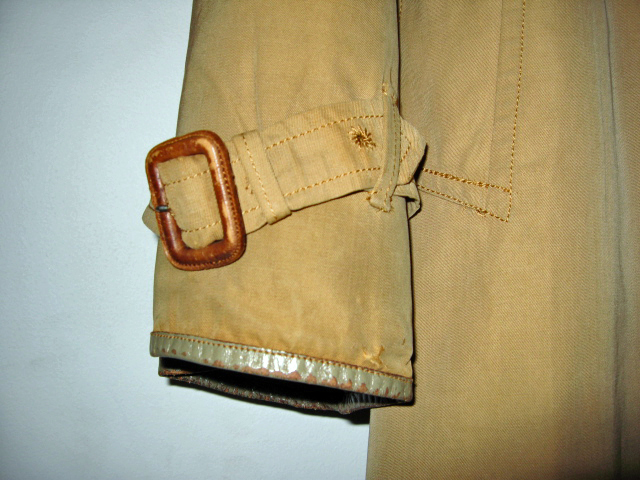 Pre- metal collar hook or under collar buckle strap attachment- the left side of the collar has a button hole and the underside of the right collar has two corresponding buttons. 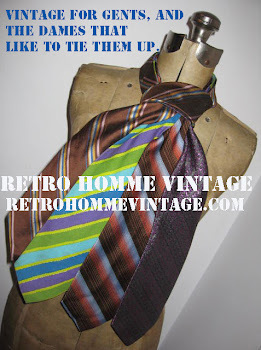 Often seen to this day on the single breasted styles. Another unusual feature? The wool button out liner has sleeves. For as long as I can remember (and on the coutless vintage Burberrys trenches I've sold over the years), the button out wool liners are vest style/ sleeveless. 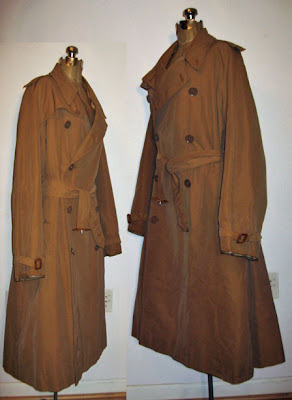 The coat is lined in a lightweight wool plaid flannel- a pattern that is still used in some of the Spring weight trenches. 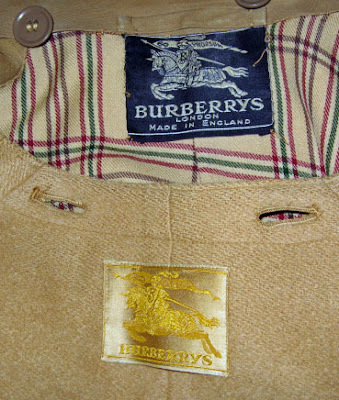 The Nova Check was invented in approximately 1920, both plaids are still used by Burberry to this day. The sleeves are lined in a heavy cotton weave- about the same color as the exterior. 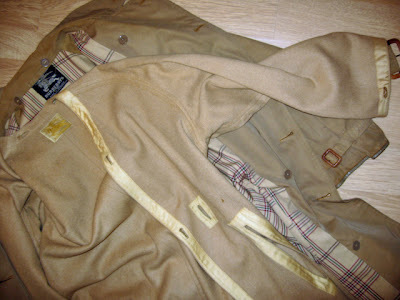 Outer feels almost like a canvas, and has worn incredibly well over the many years this coat has seen. Are there any condition issues? Yes, though less than you'd expect. There is some darkening to the inner collar, especially around the back of the neck. One button is missing- likely moved down at some point- as noted. The thread was a good choice but not a perfect match. The removable wool liner has some moth damage. Some light discoloration throughout- but this is made up for when you notice the hand- finished details on the lining and the undersides of the button holes. Weighing nearly 6 lbs., this measures to a Men's modern US L (with a 52.5" chest) and will be available soon. As soon as I stop marvelling over it's wonderful history, that is. 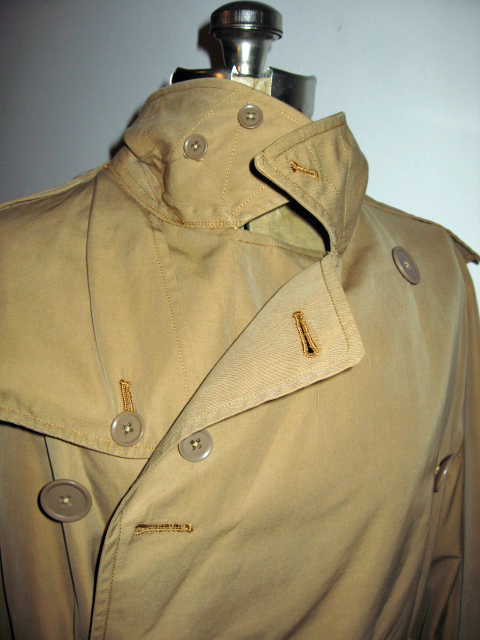 Trenches are constructed of the Thomas Burberry- invented gabardine fabric- a hard wearing and tightly woven cotton, which is then waterproofed. The first (and original) Burberrys trench coat was commissioned by the British War Office in 1914. What a great find! Thanks for the Burberry info!